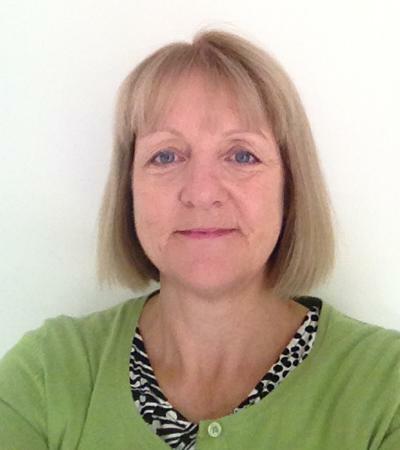 Professor Helen Roberts is Professor of Medicine for Older People at the University of Southampton. I trained in medicine at the University of Birmingham. I have a clinical practice as a Consultant in Geriatric Medicine at University Hospital Southampton and specialise in the management of Parkinson’s disease. I lead the National Institute for Health Research (NIHR) Clinical Research Network Ageing Specialty Group which represents all NHS regions, promotes research into ageing and aims to ensure that older people have the opportunity to take part in research studies. My own research focus is on nutrition, physical activity, frailty, and sarcopenia in older people and those with Parkinson’s. I lead the Ageing and Dementia theme of the NIHR CLAHRC: Wessex which enables the translation of research findings into clinical practice to be evaluated. I am lead for ageing research within the NIHR Southampton Biomedical Research Centre and principal investigator on studies of nutrition and sarcopenia in older people, collaborating with researchers at the MRC Lifecourse Epidemiology Unit, the Universities of Reading, Newcastle and Kings College London. My research group have recently studied the implementation of grip strength measurement into routine practice and the impact of trained volunteers on mealtime care and physical activity of older people in hospital. I have long standing collaborations with researchers in the School of Health Sciences and the University of Newcastle, conducting research into Parkinson’s. Recent research studies include the evaluation of dancing and personalised exercise in Parkinson’s, and development of self-management tools for people with Parkinson’s who fall. Recent and current research studies on ageing. The Southampton Mealtime Assistance Study, funded by the Southampton Biomedical Research Centre and the MRC Lifecourse Epidemiology Unit, evaluated the introduction of trained volunteer mealtime assistants to help older patients on Medicine for Older People wards at lunchtime. We showed that it was feasible to recruit and train volunteers to assist patients safely including help with eating. Patients, relatives, ward staff and the volunteers reported that the quality of mealtime care was improved by the introduction of the volunteers. We then studied the implementation of mealtime volunteers more widely in four different clinical areas within University Hospital Southampton, supported by the NIHR CLAHRC: Wessex. This study demonstrated that volunteers provided high quality mealtime care, were highly regarded by patients, relatives and staff, and released nurses for clinical tasks. This programme has now been adopted by the hospital and recognised as a national exemplar by HelpForce which campaigns for more volunteers in the NHS. See the Wessex NIHR website for more details of this and other studies. Older people often have very low levels of physical activity in hospital, which can lead to a loss of independence. Building on our experience of the impact of volunteers helping older people at mealtimes, we studied the feasibility and acceptability of volunteers helping older patients in hospital maintain and improve their physical activity. This work was supported by the NIHR CLAHRC: Wessex. We have produced recommendations on how to measure physical activity of older people in hospital; exercise and training programmes that are safe and practical; and shown that the volunteers were appreciated by the patients. This programme is also adopted by University Hospital Southampton and is an exemplar for HelpForce. Research will now focus on developing community mobility volunteers. Low grip strength is central to the diagnosis of sarcopenia (loss of muscle strength, function and mass with older age), and is a recognised marker of poor current and future health. Grip strength is often measured in research studies but is not used in clinical practice. This study evaluated the implementation of routine grip strength measurement on Medicine for Older People wards, supported by the NIHR CLAHRC: Wessex. We found that grip strength was simple to measure and could be adopted into routine ward assessments, to identify those patients who would benefit from increased attention to their diet and physical activity. This finding is highly relevant as low grip strength was recommended in 2018 to be the main diagnostic feature of sarcopenia in clinical settings. This study aimed to determine the lifecourse nutrition and lifestyle influences on sarcopenia in community dwelling older people and to identify the epigenetic, cellular and molecular mechanisms that underlie the observed associations between nutrition, lifestyle and sarcopenia. The study is funded by the Southampton Biomedical Research Centre and the MRC Lifecourse Epidemiology Unit, and research continues into biomolecular markers of sarcopenia. This multicentre study funded by the NIHR HS&DR programme aimed to identify markers of frailty in older people admitted to acute care and which models of care are effective and cost effective. Research partners were the Universities of Leicester, Newcastle, Sheffield and the Nuffield Trust. The study team developed a Hospital Frailty Risk Score derived from routine data, and the results were published in the Lancet (Gilbert T et al 2018). Other outputs include a national survey of Comprehensive Geriatric Assessment (CGA) and toolkits to develop CGA practice in a wide range of hospital departments. Details are available at the BGS website. I am a co-applicant on this study funded by NIHR PGfAR and led by Professor Paul Little which aims to establish the role of oral nutritional supplements for malnourished community dwelling older people. This study aimed to evaluate the use of fortified foods for older patients in hospital in collaboration with colleagues at the University of Reading. It was funded by the Southampton Biomedical Research Centre. Data analysis is almost complete and we will report the results later in 2019. This study will test the best way to measure frailty and sarcopenia among older people attending fracture clinics with an arm fracture. We will estimate how common these conditions are and how best to manage them in this group. This study is supported by NIHR Research for Patient Benefit. This multi-centre randomised controlled trial compared a novel personalised physiotherapy treatment with usual care, and was funded by the NIHR HTA programme. The intervention did not reduce falling overall but did show reduced falls rate and improved physical function among those with moderate rather than advanced disease severity. This study aims to identify events triggering change in care requirements in community dwelling people living with chronic neurological conditions such as Parkinson’s, and is supported by NHS England. This study is developing and evaluating a self- management guide in partnership with people with Parkinsons’s and their carers. This work is supported by the NIHR CLAHRC: Wessex. This study is evaluating a programme for people newly diagnosed with Parkinson’s, in partnership with people with Parkinson’s and the Universities of Oxford and Oxford Brookes. The programme is designed and delivered by people with Parkinson’s. This work is funded by Parkinson’s UK. Optimization of community resources and systems of support to enhance the process of living with Parkinson´s Disease: a multi-sectoral intervention (funded by EU Joint Programme – Neurodegenerative disease research). This study is a partnership between Universities and national Parkinson’s organisations in Spain, Norway, Denmark and Cyprus, led by Southampton. This project aims is to enhance the process of living with Parkinson’s Disease (PD) for the person with PD and the family-carer by building multi-sectoral care pathways, with a special focus on how to optimize the use of resources and systems of support in the community. Keeble, E., Roberts, H., Williams, C., Van Oppen, J., & Conroy, S. (Accepted/In press). Poor outcomes of even brief hospital admissions among frail older people: a role for secondary prevention of frailty crises in the community? British Journal of General Practice. Witham, M. D., Roberts, H. C., Gladman, J., Stott, D. J., & Aihie Sayer, A. (Accepted/In press). Growing research in geriatric medicine. Age and Ageing. Parker, S. G., Corner, L., Laing, K., Nestor, G., Craig, D., Collerton, J., ... Cowan, K. (Accepted/In press). Priorities for research in multiple conditions in later life (multi-morbidity): findings from a James Lind Alliance Priority Setting Partnership. Age and Ageing. Roberts, H., Owen, C. L., Ibrahim, K., Stack, E. L., & Dennison, L. (Accepted/In press). What is the evidence of self-management interventions for people with Parkinson's disease who fall: a systematic review. Age and Ageing, 47(Suppl 2:ii19). Rossiter, F., & Roberts, H. (2015). Benefit of using volunteers for mealtime assistance. Nursing Times, 111(12), 22-23. Roberts, H., & Rossiter, F. A. (2015). Developing trained volunteer mealtime assistants to help older people in hospital: The Southampton Mealtime Assistance Study. Nursing Times, 111(12), 1-5. Stack, E., & Roberts, H. C. (2012). Leisure activity among people with Parkinson's disease: preferences, perceived benefits and reasons for abandonment. Journal of Aging and Physical Activity, 20, S222-S222. Stack, E., Roberts, H., & Ashburn, A. (2012). Re: Allocation concealment. British Medical Journal, 344(1563). Lucas, P., Law, C., Baird, J., & Roberts, H. (2007). Letter. The views of professionals toward infant growth. Archives of Disease in Childhood, 92(7), 655. Roberts, H., Hill, L., Kinlin, L., & Powell, J. (2006). Why are frail elderly people admitted to acute hospitals rather than to intermediate care? Age and Ageing, 35(Supplement 3), p.i50. Kwan, J., Begum, S., Durward, G., Cawford, P., & Roberts, H. C. (2005). Predicting the extent of recovery after stroke: how do patients and carers compare with health professionals? Age and Ageing, 34(Supplement 1), p.i43. Hemsley, Z. M., Roberts, H. C., Aihie Sayer, A., Gove, I., Turner, G., Meakins, P., ... Powell, J. (2004). A feasibility study of the Sherbrooke postal questionnaire as a case finding tool for the single assessment process. Age and Ageing, 34(Supplement 2), p.ii29. Roberts, H., Steiner, A., Powell, J., Onslow, E., Roberts, A., & Coulson, D. (2002). The hidden costs of implementing a care pathway. Age and Ageing, 31(Supplement 2), p.47. Powell, J., Bray, J., & Roberts, H. C. (1996). Facing death: issues of care for older people and their carers. Social Services Research, 4, 29-38. Bruce-Jones, P., Roberts, H. C., Bowker, L., & Cooney, V. (1996). Resuscitating the elderly: what do the patients want? Journal of Medical Ethics, 22(3), 154-159. Roberts, H. C. (2012). Parkinson's disease: diagnosis, differential diagnosis and prognosis. In L. K. Bowker, J. D. Price, & S. C. Smith (Eds. ), Oxford Textbook of Geriatric Medicine Oxford, GB: Oxford University Press. Roberts, H. C., & Overstall, P. (2008). Motor problems in Parkinson's disease: fluctuations, gait, balance and falls. In J. Playfer, & J. Hindle (Eds. ), Parkinson's Disease in the Older Patient (2nd ed.). Oxford, GB: Radcliffe. Roberts, H. C., & Challis, D. (1994). Assessment of carer burden. In I. Philp (Ed. ), Assessing Elderly People in Hospital and Community Care (pp. 82-97). London, GB: Farrand Press. Ibrahim, K., Roberts, H., Aihie Sayer, A., & Howson, F. F. A. (2018). Frailty, polypharmacy and potentially inappropriate medications in older patients in hospital: A cross-sectional study. Paper presented at 14th International Congress of the EuGMS, Berlin, Germany. Ibrahim, K., Roberts, H., Robinson, S., Methven, L., Gosney, M., & Fagan, C. (2018). The acceptability of offering fortified foods to older people whilst in hospital: A pilot study. Paper presented at 14th International Congress of the EuGMS, Berlin, Germany. Baczynska, A., Ibrahim, K., Sayer, A. A., & Roberts, H. (Accepted/In press). Volunteer-led mobilisation of older inpatients: qualitative study of stakeholders’ views. 182-183. Paper presented at 13th Congress of the European Union Geriatric Medicine Society, Nice, France. Stack, E., & Roberts, H. C. (2012). Falls beyond home among people with Parkinson's Disease. Paper presented at MDS Abstract of the 16th International Congress of Parkinson's Disease and Movement Disorders, Volume 27, June 2012, Ireland. Stack, E., Fitton, C., Ashburn, A., Roberts, H., & Amar, K. (2011). Postural instability and cognitive co-morbidity among a consultant’s caseload of people with PD. Poster session presented at Ageing: The Interface Between Community, Clinic and Laboratory, United Kingdom. Walsh, B., Nicholls, P. G., Roberts, H. C., Wider, B., Hunt, K. J., & Lattimer, V. (2009). Predictors and outcomes of older people’s hospital admissions for ill-defined conditions. Paper presented at XIXth IAGG World Congress of Gerontology and Geriatrics, France. Hunt, K. J., Walsh, B., Roberts, H. C., & Voegeli, D. (2008). Functional stats and inflammatory profiles of older people with collapse and falls. International Federation on Ageing World Congress, Canada. Hunt, K. J., Walsh, B., Roberts, H. C., & Voegeli, D. (2008). Functional status and inflammatory profiles of older people discharged from hospital with ill-defined conditions. 37th Annual Conference of the British Society of Gerontology - sustainable futures in an ageing world, United Kingdom. Walsh, B., Roberts, H. C., Nicholls, P. G., & Lattimer, V. A. (2008). Trends in older people's emergency hospital admissions for symptoms, signs and ill-defined conditions. Paper presented at Society for Social Medicine Annual Scientific Meeting, United Kingdom. Hemsley, Z. M., Roberts, H., Thomas, G., Aihie Sayer, A., Gove, I., Turner, G., ... Powell, J. (2005). The Sherbrooke postal questionnaire: which patients trigger further assessment?. Paper presented at Spring Meeting of the British Geriatrics Society, United Kingdom. Roberts, H. C., Hemsley, Z. M., Thomas, G., Aihie Sayer, A., Gove, I., Turner, G., ... Powell, J. (2005). The single assessment process in primary care: what is the impact on other services?. British Geriatrics Society: Spring Meeting 2005, . Conroy, S., Gilbert, T. P., Street, A., Roberts, H., & Parker, S. (Accepted/In press). Correspondence piece THELANCET-D-18-05210: response to letters. The Lancet, (2018). Powell, J., Roberts, H. C., & Bray, J. (1997). Care of the dying patient on an acute elderly care unit: the carer's perspective. (Centre for Evaluative and Developmental Research). Southampton, GB: University of Southampton.